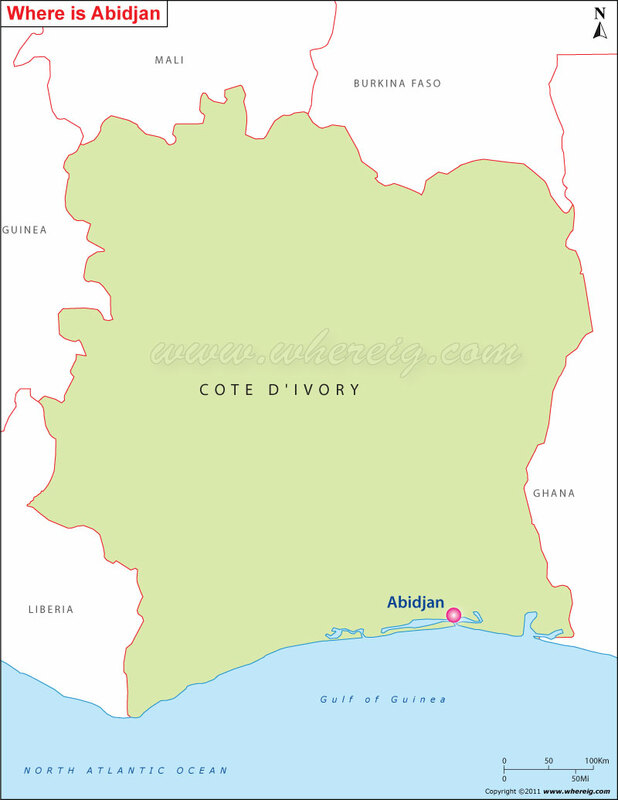 As shown in the given location map of Abidjan that Abidjan is located at the coast of Gulf of Guinea in the south-eastern part of Cote dIvoire. At present, Abidjan is the largest and economic capital city of Cote dIvoire; however, it was the former capital city of Cote dIvoire. The city is fourth largest French speaking city in the whole world. The city is recognized not only as the cultural hub of West Africa but also Abidjan has well developed infrastructure and characterized by a high level of industrialization and urbanization. The city is situated in �bri� Lagoon on several converging peninsulas and islands, inter-linked with bridges. By virtue of having coastal location, it is important sea-port of the region. The main stock exchange of the country i.e. the Bourse Regionale des Valeurs Mobilieres (BRVM) is situated in Abidjan. The other important industries in the city are: food processing, automobile manufacturing, the manufacture of textiles, chemicals, soap, and lumber.